Polls, odds, and predictions on Gold Derby indicate Ashley Hess being cut from the Top 10 could be a bad call by the judges. 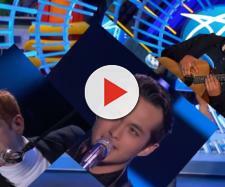 "American Idol" 2019 finally had their first audience vote for the Top 10 and Ashley Hess was not through on the audience vote. Neither was Alyssa Raghu. So, it came to the judge's decision after they tried again. In the end, the judges vote sent home Evelyn Cormier, Riley Thompson, Eddie Island, and Ashley Hess. Ahead of that, Gold Derby, the Reality TV Race site, showed Ashley Hess sitting with three percent of pollsters nominating her as their choice to get through to the Top 10. In fact, she ranked alongside Walker Burrows, Wade Cota, and Madison VanDenburg. However, Katy Perry chose to keep Alyssa Raghu and thus send Ashley home. Alyssa Raghu was an interesting choice for Katy Perry to make, judging by the Gold Derby polls. In fact, ahead of the final elimination in the second round, they had Alyssa Raghu sitting so low on the audience poll that she never even made one percent of voters' choices. Almost flatlining alongside Eddie Island who also got sent home, one wonders how she ended up getting into the top 10. Some fans on YouTube complained that she had an unfair advantage as she performed last year. Others felt it a bit "off" that Alyssa performed a Katy Perry number, "The One That Got Away." It's a game of chance at this stage for the contestants, especially with the judges voting. All the polls in the world cannot predict just one mischoice or preferred performer by the judges. Who could predict that Katy would choose Alyssa over Ashley Hess? Some Ashley Hess fans were outraged, with one commenting on Gold Derby, "Its [a] complete JOKE that Ashley is not in the top 10. She is a top 5 talent for sure." They added, "I’ve [watched] this show every year since its inception and have never been so mad and disappointed that the judges did not choose the best talent to go forward." At three percent audience choice in the Gold Derby poll, that put Ashley Hess on an equal footing with Madison VanDenburg, Walker Burrows, and Wade Cota. Still, three percent's a small margin to make a difference when the audience votes you in or out. The latest poll on the site now asks "American Idol" fans to select which of the four contestants sent home were robbed of their place in the Top 10. At the time of writing this, 54 percent of the pollsters agreed on Ashley Hess. That's no big shocker as the site previously gave out their odds for winning Idol. In the Gold Derby odds on winning "American Idol," it showed Ashley at 37/1. That put her close to Walker at 35/1 and Wade at 33/1. Meanwhile, Evelyn Cormier, Alyssa Raghu, Eddie Island, and Riley Thompson sat at 100/1. Combine the audience choices with Gold Derby's expert predictions and it looks like Katy Perry's choice for Alyssa Raghu to stay in, is somewhat of a wildcard. The choices made, it's time for the departed to go home and do what they do best, which is work at their musical craft. Others suffered the same fate in past years and bounced back to slam-dunk the entertainment world, after all. Each one of them can say with pride that they managed a fantastic achievement. Even Katy Perry said she hates this part of the job, sending talented people home. Emotionally, she finds it very difficult. What do you think about Ashley Hess being sent home when she ranked in the audience polls alongside Walker Burrows? Going by the predictions, odds, and polls, were you surprised to see Katy Perry choosing to keep Alyssa Raghu in the show? Remember to follow the Reality TV Channel on Blasting Pop for more news about "American Idol" 2019.